Thinking Out Loud In Sturbridge: Are You Ready? Palmer will get it's casino. The question is not, "How do you know this? ", but rather, "Why not". Location, a great plan, and local support will close the deal. It's happening. How will it affect the neighboring communities? Each one will be affected a bit differently. Traffic patterns will be affected, housing inventory will be depleted, new construction will begin, supportive infrastructure, such as bridges, and roadways, will need to be rebuilt, and built anew. Businesses to support those thousands of new residents, and employees will need to be built. Services will expand to the area to support the increased population. Everything from more physicians, more day cares, more pharmacies, gas stations, super markets, shoe stores, and on and on. House prices will increase dramatically. What we lost during the recession will be more than regained. There will be changes. A lot of changes. More changes than this area has ever seen, and change scares the bejeepers out of many folks. Fear of what they believe will happen cloud their mind. The changes are long overdue, and will be beneficial to all. Then there are those that are afraid that gambling will leave people destitute. Gambling has been around as long as man has had something to bet on. There have been some that have gambled enough to loose everything they have. That is gambling. Then, there are many more that have gambled without loosing that control of their lives, and win, or loose, they move on with their lives. The argument that excessive gambling is a disease, and we must do our part to prevent its spread is like banning cupcakes because a diabetic might eat one. Each case must be identified, and addressed by those that are affected, and like diabetes, treatment begun. This works well, and the cupcakes remain on the shelf at Cumberland Farms. I don't think that there will be any long term negative affect to the surrounding towns when the casino in Palmer is approved. Roads will be adjusted, traffic flow will be refined, schools will adapt, more stores will be built, and jobs will be available. The last part is most important. 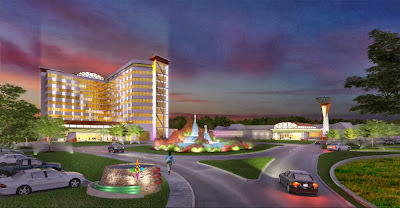 Jobs will be available not only during construction of the casino, and afterwards at the facility, but jobs will be created to build the stores, houses, and day cares. Jobs will be created to staff those businesses as well. One other thing to think about is that Sturbridge should put out of its head the idea of taking over Route 20. That road will need major improvements in the coming years in order to handle the increased traffic flow, and that is something we don't need to be paying for.